Undoubtedly. 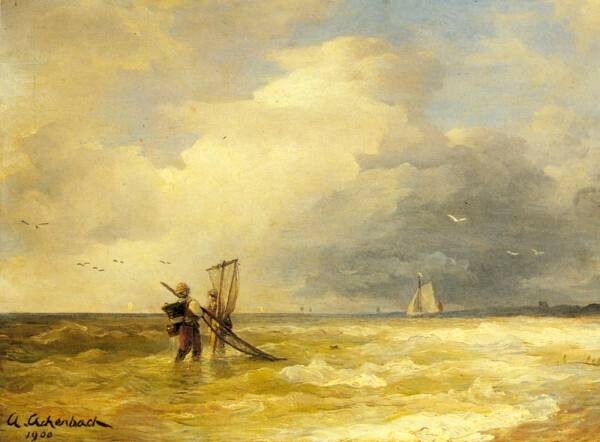 you will appreciate at its true value this sumptuous painting Fishing Along The Shore made by the famous painter Andreas Achenbach & other world-famous works represented in our collection. German painter & printmaker. Born 1815 - died 1910. This image of Andreas Achenbach was kindly provided by Don Kurtz. This Achenbach Andreas Oil Painting reproduction masterpiece is hand painted by a real artist. No digital or printing techniques are used. You are commisioning a real painting.